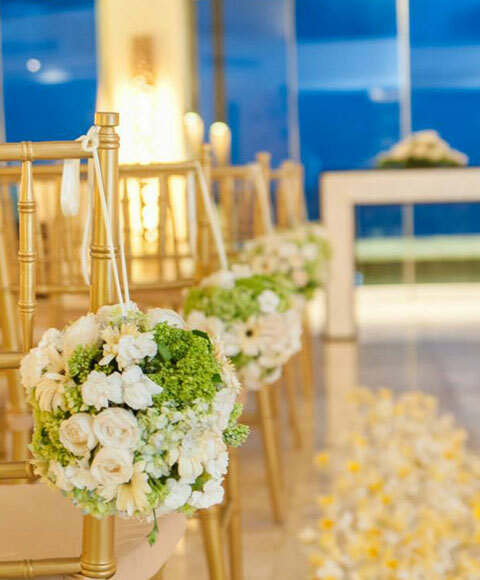 Find the perfect Bali Wedding Packages for your special day amidst Seminyak’s sandy white beaches and endless sunshine. Make your celebration of love a magical experience with memories that will last a life time. Whether you are getting married in Bali or planning a honeymoon or romantic getaway, The Seminyak Beach Resort can assist in the arrangements with specially prepared packages. Our team will make the most of a romantic getaway for the two of you. We will help you to create memories that will make your honeymoon something to savour, not just for the moment but for a lifetime. A romantic dinner served with a bottle of Champagne in our Beach Pavilion surrounded by hundreds of candles and an abundance of red rose petals. If you are staying in a villa, the dinner can be served in the privacy of your villa. © The Seminyak Beach Resort & Spa. All rights reserved.